We are Boyce Thompson Arboretum (BTA), Arizona's first non-profit research organization dedicated to the study and preservation of arid land plants. Situated on 392 acres, we were founded April 1st, 1924, and are the fourth oldest botanical institution west of the Mississippi river. Our plant rescue history includes both plants and seeds. BTA’s 27 year old Desert Legume Program, in addition to its nationally accredited seed collection, is the third private organization with seed at the USDA Seed Bank in Fort Collins, Colorado, and the third U.S. organization with seed at the Svalbard Global Seed Vault. BTA has rescued germplasm from Turkmenistan and most recently Abbey Gardens, and is now in the middle of its second grant rescuing and studying salvage methods of a federally endangered cactus. When Wallace Desert Gardens, a sister garden, 75 miles to the west of us in Scottsdale, Arizona was failing, we offered to help save their valuable plant collection by relocating all the plants to the Arboretum. It was only after we started working on it that we realized what combining the two gardens would do. BTA would have over 5,000 types or taxa of plants, putting us in the top 25 gardens in the US and top 75 globally. More importantly, since so few gardens specialize in arid land plants, BTA will become a global leader. We thought we had enough funds, but the number and size of the plants made it hard to calculate. Of the almost 6,000 plants that we are trying to move, we do not have funds to move 2,000 of them. These funds will go to the contractor to move the plants. The land is being sold to a developer and the plants need to be removed by July 1, 2017. We need the funds to begin moving them by October 1, 2016. We all have heard about climate change, the scarcity of food and water and that one third of all plants may be extinct in our lifetime. We believe that arid plants may hold the key to these global issues and we must preserve their germplasm before it is lost. We are affiliated with the University of Arizona and Arizona State Parks, so these plants can be studied by reseachers and enjoyed by the public. Without your help, a plant collection that was collected over 25 years and may hold the key to crops that use less water may just end up in a chipper. Help us do the right thing and save these plants. Thank you so much for taking the time to understand why gardens and plants are so important to our future. 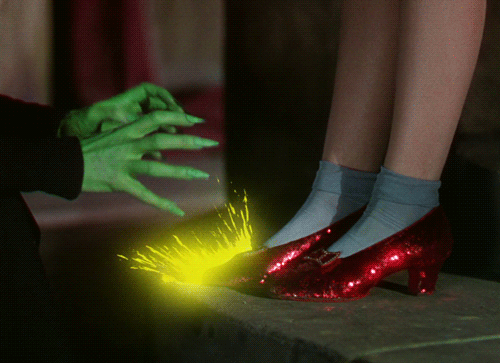 Be part of the legacy. For additional information on why this particular plant collection is so important, see our documentary trailer at http://bareprod.wix.com/gardenonthemove and visit the Desert Plant Rescue website at wallace.btarboretum.org . About a third of the plants that have arrived so far from Wallace Desert Gardens were delivered to the Arboretum in large boxes weighing as much as 8 tons each. But the other two thirds were transplanted and brought to the Arboretum by our own staff. How do they manage such spiny plants? This short video illustrates one of the tried and true techniques. 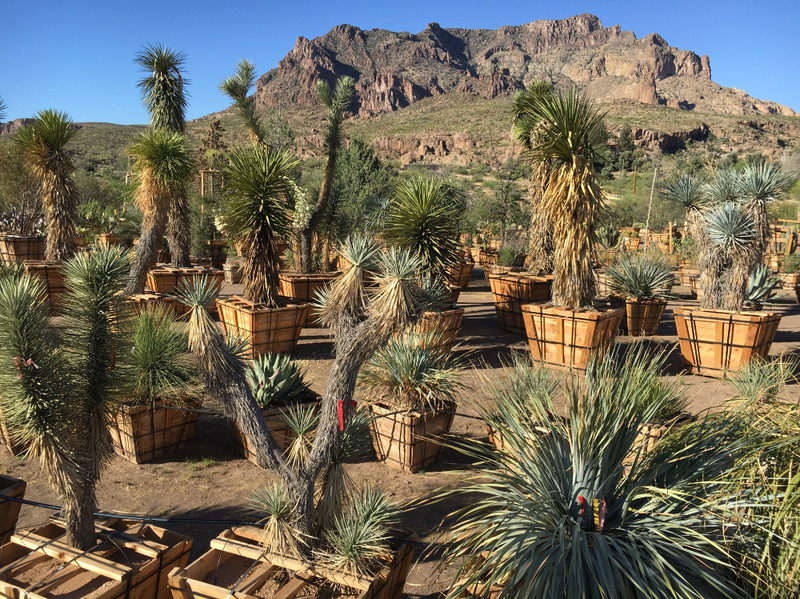 Picketpost Mountain forms the backdrop to our largest holding area where over 600 boxed yuccas, agaves, cacti, trees, and shrubs await the end of summer when planting in the new Wallace Collection Exhibit area is scheduled to begin. P.S. Look for our advertisement in Arizona Highways coming out next week. How do you move a very large cactus? The plants will get great care at BTA. In honor of Gary Long, who cares deeply about preserving the desert plants. Austin Cactus & Succulent Society Inc.
Good luck with the move. Hope this donation helps! Saw the full page ad in Arizona Highways. Thank you for the good work you are doing.